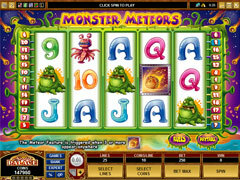 Microgaming is known for making quality casinos and Spin Palace is no exception. 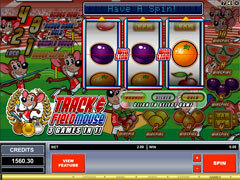 This wonderful web place has everything to please gambler, so let’s look at it a little bit closer. As usual, you are allowed to choose from two versions of software. 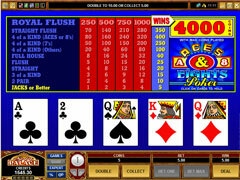 The first one, instant of Flash version will be good for knowing this casino better. If you’re into serious play, then choose a downloadable one. Whole installation package is just 4 MB, so it can be downloaded and installed within just minutes. 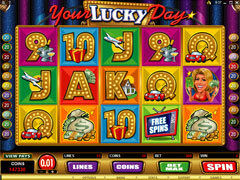 After this you are welcome to make your first deposit and try your gambling luck in this casino. 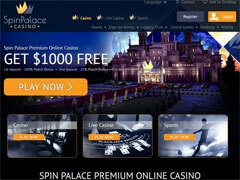 Spin Palace offers rather attractive bonuses. For example, for the first deposit you will get 100% up to $150, for the second one – 25% up to $125, for the 3rd – 50% up to $100. Besides there is Sunday Bonus when you can get 100 free spins playing Tomb Raider Secret of the Sword Slot. If you are loyal player you will get 100% up to $100 and $5 for free on 1 year Anniversary of playing at Spin Palace Casino. 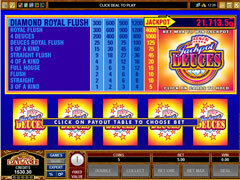 And if you’re lucky winner and can win progressive jackpot of more than $25,000 you’ll receive additional $1,000 for free. Every time random active players get $50 for free for their online gameplay. You can make a deposit in a number of ways, including such popular e-wallets as Neteller or use your credit card. As you enter casino, you may notice “What is hot?” title. Do not be tricked by it. 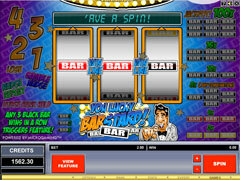 This is just a link to another slot machine (by the way, not the luckiest one despite the fact it has 9 paylines). 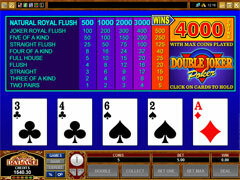 If you are not a slot expert, let’s move to something more potentially profitable like Ten Hand Play Power Poker – a video poker where you play 10 hands at the same time. The smallest bet in this game is $0.10 and the biggest one – $2. If you choose to play 10 hands at the same time, prepare to pay more at startup. 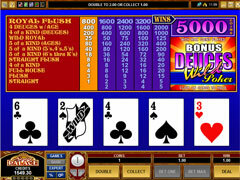 This video poker is definitely a good one with fast game play and crisp graphics. 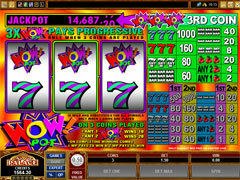 Microgaming software enables smooth performance and attention to details. 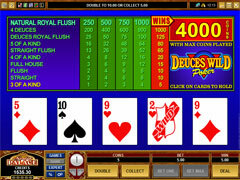 Another well-made poker is Deuces and Joker Video Poker, where you can win really huge jackpot of 10,000 coins. 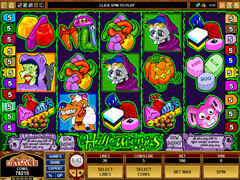 Certainly, these are not all popular games in Spin Palace casino as it has not only numerous fantastic games, but also endless variations that help to find the one that fits you perfectly. Many players in this casino say they like Skull Duggery slot machine. 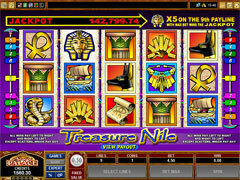 This is another slot with 9 paylines and bids starting from $0.01 up to $1. Certainly, the mentioned price is given per one line, so if you want to bid on all 9 paylines, you will have to make a minimal bid of $0.45 (your maximum bet in this case can reach as much as $45). 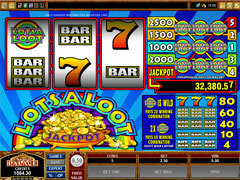 This slot is highly yield one as even small bets can bring you nice winnings. Actually, Spin Palace has many 5 reel slots with 9 paylines. Some of them bring in more, some less. 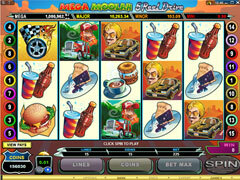 Big Kahuna Slot is another example of quality online slot, where stakes vary between $0.05 and $1. This also means that the minimum bet size is $2.25 and the maximum one is $45. So now it’s time to leave slots and move to other games like blackjack. 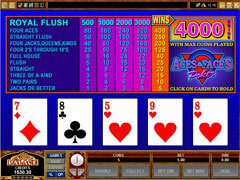 There are several variations of blackjack available for play in this casino. If you want to increase your odds, then consider trying European Blackjack that operates 2 decks of cards. The amount for minimal bid is $1 with maximum bid reaching $500. Certainly, things not always go our way, but this blackjack is a real opportunity to win nice sums of money and enjoy your newly increased account balance. 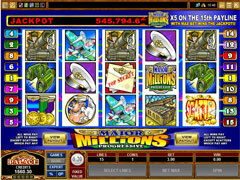 Those players who can’t live without progressive slots will definitely like Major Millions slot machine as it has a tremendous jackpot of $1,600,000! 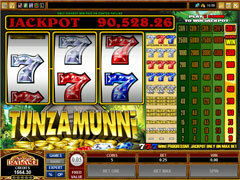 This is by far the biggest jackpot you can find online. Each spin costs $3, but that is not the problem as you can win large sum of money. Even if you won’t be lucky enough to get lamp sum, you still can get winnings of several hundreds of dollars without any serious efforts. This slot machine is truly amazing. 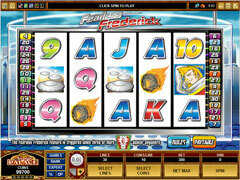 If you don’t think this is your lucky chance, try out Thunderstruck Slot that is very popular among slot players. 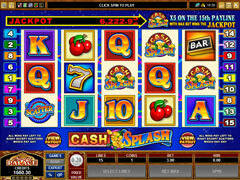 This 9 payline slot accepts bets ranging from $0.01 to $1. If you want to bid on all 9 reels, you will have to pay from $0.45 to $45 for each game. 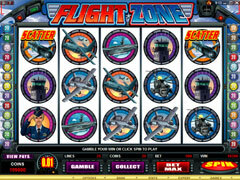 This slot has several bonus features like free spins or multiplier. These options seem not very important, however, they help to win really big. When it’s enough for poker, try European Roulette. Actually, there are several types of roulette in this casino, but European one gives better odds as it has only one Zero opposite to American variant with it double zero. 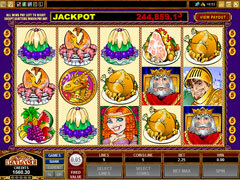 Don’t hesitate to try some roulette even if you are not experienced gambler in this field. If you have no idea, what numbers to choose, here is another hint – select numbers that are closer to center. This casino has various slots in addition to ones that have been tested here. 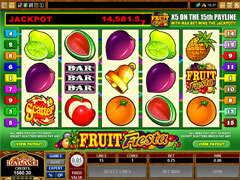 Feel free to check them and, maybe, you will luckier this time and will earn big at, for example, Fruit Fiesta slot with as much as 15 paylines or High 5 slot that makes all winnings multiplied to 25. 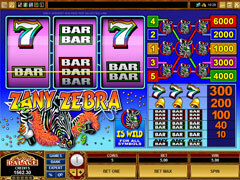 It has quite big bets of $0.75 to be the minimal one and up to $15 for each game, but wins are also frequent in this slot, so you may find this slot machine not only amusing, but profitable one as well. Spin Palace is one of best places to win. 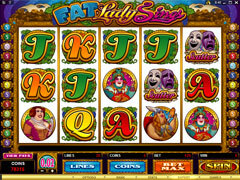 It has all types of slots that suit any gambler’s choice and so there’s no doubt, you will be satisfied and would want to stay.